Located in Mission View subdivision, this beautiful move in ready home at 4100 Ives Ln N shines with its perfectly planned landscaping. You are welcomed immediately by the exquisite paver stone driveway and the attractive neutral stucco and stone exterior. 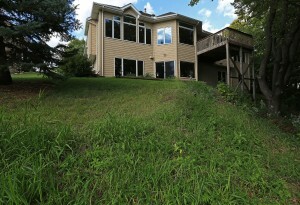 Located on a .63 acre lot in a quiet cul-de-sac, you will enjoy your privacy and serene surroundings. Living is easy at 4100 Ives Ln. Enjoy the brand new carpet and fresh paint throughout. This four bed, three bath home is great for the busy homeowner. The location can’t be beat with fantastic shopping and restaurants located just 1.2 miles away. Additionally, 4100 Ives Ln is situated perfectly between 494 and 169. Through the trees in the backyard you can see French Regional Park, where you can spend hours exploring. The park offers amenities such as a swimming beach, fishing pier, kayak rental, a creative play area and much more. While inside, a light filled foyer welcomes you. Just beyond the entrance you walk into the large kitchen with two-tiered island and connected dining room. 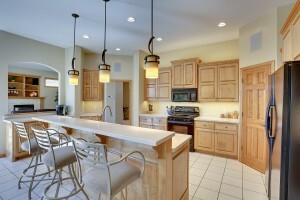 Enjoy the abundance of cabinetry space along with large walk in pantry. 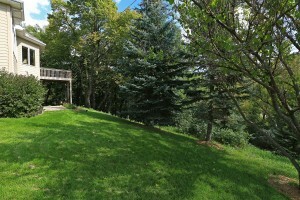 Off of the dining room, the deck offers a beautiful space to admire your heavily wooded and private back yard. In the large living room, you will notice the expansive wall of windows, maple built ins and the marble surround gas fireplace. 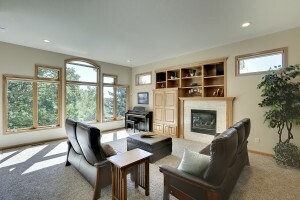 The open floor plan is very conducive to entertaining. The home’s master bedroom is conveniently located on the main level and features a huge walk in closet and large windows. The master bath located nearby features separate tub and jacuzzi style tub. 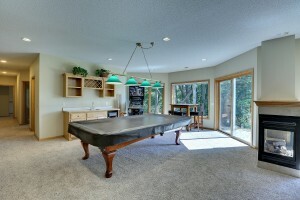 On the finished lower level walk out, you will find the expansive family room with wet bar along with space for a pool table. Additionally, warm up by the three sided fireplace. You will also find a ¾ bath and two large bedrooms along with over 500 sq. ft. of storage. 4100 Ives Lane N has many unique features from the remote controlled blinds to the whole house automation lighting (sunrise to sunset). With hook-ups on the main and lower level, you decide where your laundry room will be located. Enjoy the ability to have lightning fast internet (pre-wired for CAT5), monitored video surveillance, and surround sound throughout the home.